Laser Genesis photo-facial skin therapy is an innovative, technologically advanced non-ablative photo rejuvenation procedure that promotes vibrant and healthy looking skin in men and women. Now you can have a more youthful appearance by treating those conditions that are typically associated with premature signs of ageing and sun damage, such as excessive redness, large pores, uneven texture, and fine line wrinkles. All skin types may be treated without fear of complications — even in summer. Laser Genesis can be performed quickly — a lunchtime procedure! 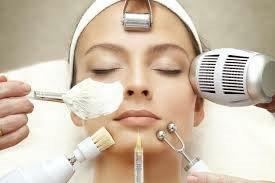 At The Beauty Clinic , laser Genesis photo-facial skin therapy treatment is one of the most popular and effective ways to treat rosacea and reduce the pore size. How Does Laser Genesis photo-facial skin therapy Work? What Areas Can photo-facial skin therapy treat? What Does Laser Genesis Photo-facial Feel Like? How Long Do Photo-facial Results Last?